New world record specimens have been established for nearly all species in the past three or four decades. 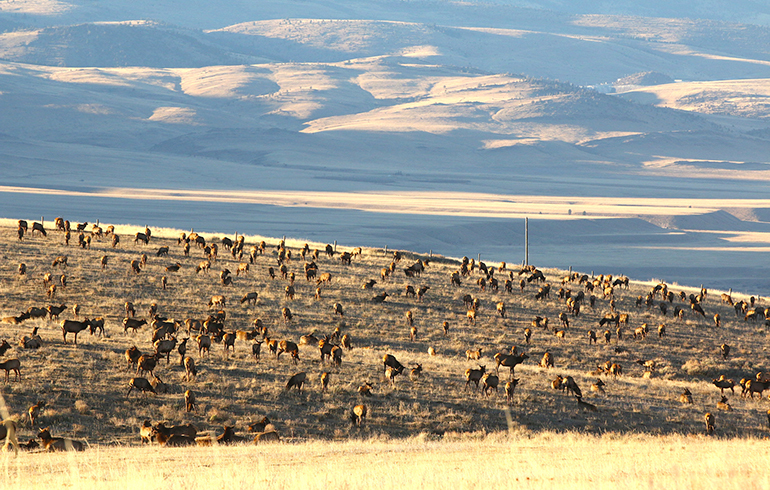 Who knows, you might get the next world record whitetail, mule deer or elk, but only if you get busy right now. January through May might not be the season to hunt, but it’s the season to apply for tags. Increasingly, hunters must draw limited, special entry tags in order to hunt the best places for the biggest animals. It’s supply and demand, and with ever more humans shoving and crowding in this country, hunting opportunities are getting harder and harder to find. The good old days of knocking on doors to gain hunting permission — or even of buying a tag a few days before the season opens — are going, going, gone. If you want to hunt the best game in the most productive trophy areas, you must apply for a limited number of tags months ahead of time. And that time is now! So get hopping. You can do nearly all of it from your computer. Google fish and game in the state you want to hunt, jump onto that website and start browsing. Search for things like Hunt Planners or Guides to Big Game. Then look for instructions on applications, trophy units, season dates, drawing odds and application procedures. In some states drawing odds for coveted tags are poorer than 1 in 100. In many you must have collected preference points in order to draw. These are accumulated year by year, and in some places you need as many as 20 preferences points (that’s 20 years of trying!) to snag a tag in the best trophy units. In many states the rarest trophies can only be hunted once by any individual. These are called “once-per-lifetime” tags. They’re often bighorn sheep, moose and mountain goat. Pursuing them is grand adventure, something the vast majority of humans will never do. If you want to enjoy such a wild pursuit, start planning and applying. It might take half a lifetime to score, but it’ll never happen if you don’t start trying. In many ways it’s sad to think that we’ve lost the hunting freedoms our forefathers once took for granted. In the early 19th century you could have ridden across the Rocky Mountain west collecting fresh bison, elk and mule deer venison for dinner any day. But by the late 19th century you would have been lucky to see a whitetail or even a turkey in much of America. Market hunting had ruined things. That’s when sport hunters like Theodore Roosevelt stepped in to end market hunting, champion sport hunting and establish limited seasons, bag limits, game commissions, game wardens and the whole system of management that has done such a remarkable job restoring deer, elk, pronghorns, moose, cougars, wolves and more to abundance. We hunters can be proud of the work our 20th century brethren did to restore wildlife in North America, but now it’s our turn. While we’re studying and planning and apply for our grand adventure hunts, we must also be educating, advocating, voting and fighting for wildlife, wild places and our rights to enjoy them. Forget the winter “off-season.” For real hunters, real dedicated, conservationist hunters, it’s all one long season. Apply yourself to saving wildlife, saving your right to hunt and drawing those coveted tags.